We had our first General Meeting on Tuesday, September 20, at the Washington Athletic Club. Junior League women filled up the room early and quickly, excited to reconnect with their friends and kick off a new Junior League of Seattle year. Renee Hartnett, our 2011 – 2012 Junior League of Seattle President, called the meeting to order at 7 pm. She led off with an interesting icebreaker, asking members of the audience to stand if they answered yes to certain questions. As many women stood to answer yes to such questions as, “Do you have a college degree?” “Do you own your own business?”, and “Are you committed to making a positive impact in your community?”, the incredible cumulative talent, education and passion of our League become evident. Next, Renee presented the Leadership and Diamond Tiara awards to women from an impressive pool of candidates. Our September Leadership Award went to Susan Evani & Allie Switaj, Lifeskills for Women leaders who have already solidified a partnership with the YWCA of Seattle Young Parents program! Lori Ayers was awarded the Diamond Tiara Award for taking the initiative to apply for a grant through Seattle’s Social Innovation Fast Pitch Process. Lori went after this grant for Kids in the Kitchen, our new committee she chairs. The highlighted program of the evening was Lifeskills, which we operate through our community partner, Treehouse. Janis Avery, Treehouse’s Chief Executive Officer, presented a deeply educational oration on the foster care system, Treehouse’s role in Seattle’s foster care system, and how women of the Junior League of Seattle could help foster kids through their work with Treehouse. Janis taught us that the three main priorities of foster care are safety, permanency and well-being, and that Treehouse’s role focused on the well-being of foster children. 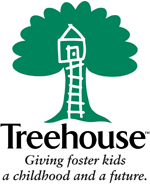 In 1988, local Social Workers founded Treehouse to meet the needs of foster children whose needs are not met by any other source. Janis took us through the raw data of the foster care system, the backgrounds of children who come into foster care and how they got there. Janis also brought two teenagers from Treehouse, these young ladies spoke to us about their experience in the foster care system, experience with Treehouse and answered questions about themselves and the impact that the Junior League of Seattle had on their lives. Our members visibly connected with and reacted to the girls; it was wonderful to see the spirit and poise that both girls possessed, and their honest answers to many questions sparked both laughter and admiration from the audience. Janis Avery’s full PowerPoint presentation is available on the website on the Member Side of our website, under Documents > Meeting Materials > General and Unit Meeting. You will also find the PowerPoint presentation shown during the meeting at the same location. Alison Jahn and the Planned Giving committee spoke about Legacy Circle, which helps JLS members promise a donation to the Junior League through their wills. Elissa Puckett, Nominating Director, and Bonnie Marshall, Nominating Manager, stood up to announce the upcoming Women with Impact Training on Thursday, October 6th at the Seattle Tennis Club. They noted that the featured speakers would be Maria Mackey Gunn, Jeanette James and Darci Swanson.